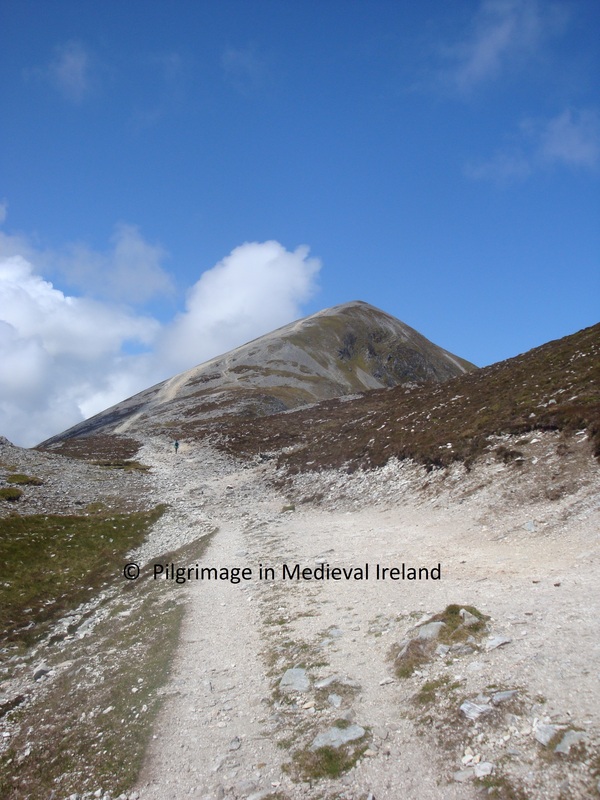 Over the course of my research on pilgrimage in south County Tipperary, I came across two curious stones associated with St Patrick. 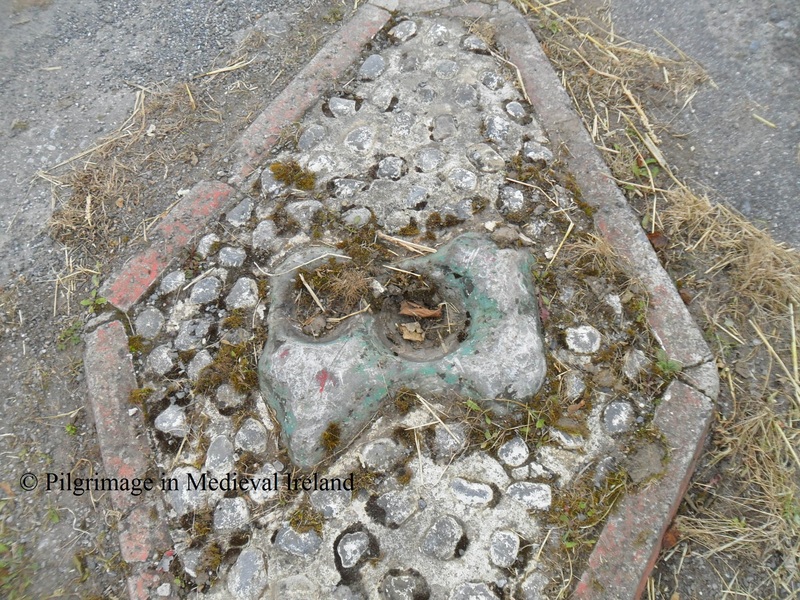 The first, St Patrick’s stone at Grangemore is located in the middle of a T-junction of a small by-road leading the Cahir Equestrian centre, a short distance from the town of Cahir. The stone is embedded in a diamond-shaped island in the middle of the junction, probably not the safest place for such an ancient monument. I could see traces of green paint on the stone, suggesting it was painted green to make it more visible. The stone is a what archaeologist call a ‘bullaun stone’. Bullaun stones are artificial basins or hollows/depressions in rocks, boulders and stone and are held to be of early medieval date. The majority are found at early medieval ecclesiastical sites but some like this stone are found in isolation. There is some question over the original use and function of bullaun stones in early medieval times. 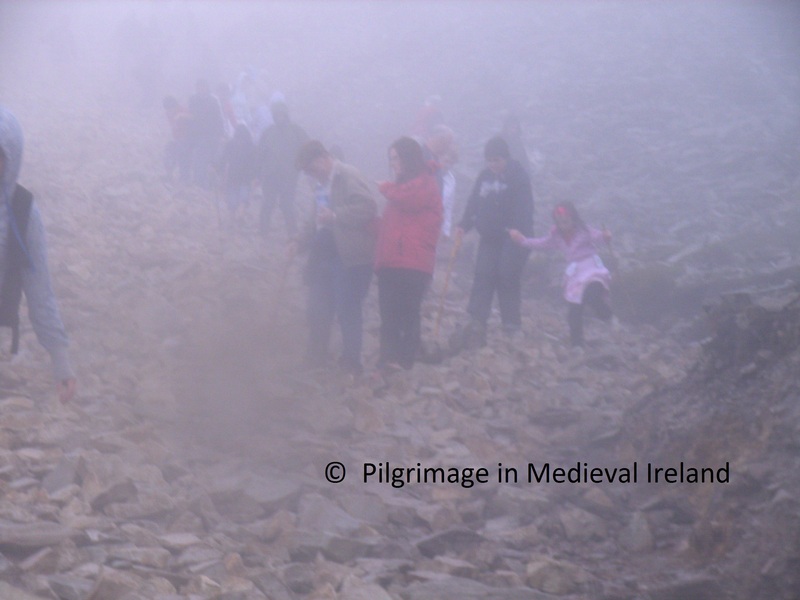 Some scholars believe that they are medieval pilgrimage stations/ monument pestles to ritual or devotional use of turning stones within the hollows. Others advocate a more practical use such as grinding metal ores or herbs. Whatever their original use many of these stones over time developed associations with saints. 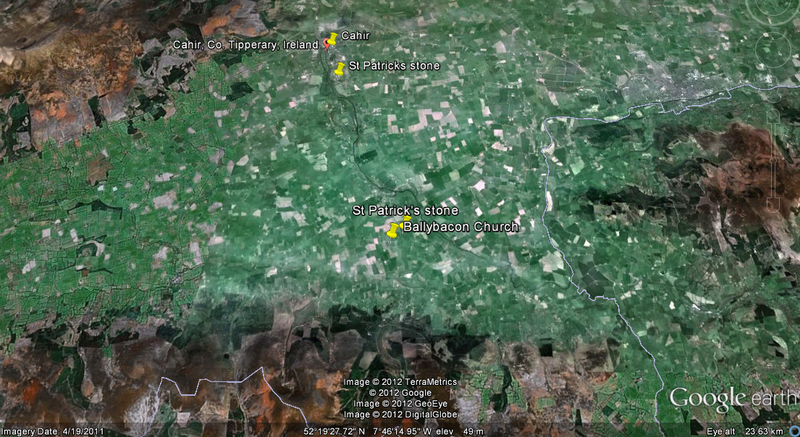 St Patrick’s stone has two, circular depression, the largest (diam. 0.19m x 0.2m; depth c. 0.1m) and the smaller (diam. 0.17m x 0.15m; depth c. 0.7m). As its name suggest the stone is associated with St Patrick the national saint. 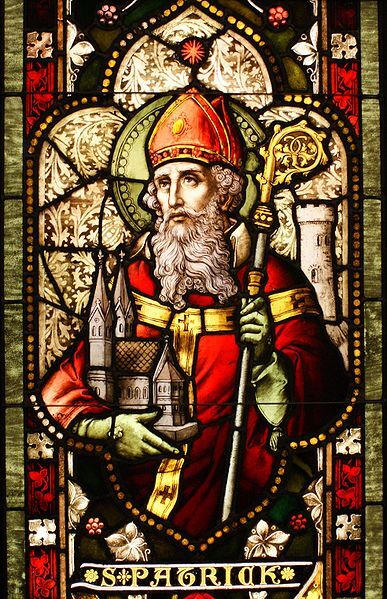 According to Power in 1908, the stone was held with veneration as it was believed to have been used as a cushion by St Patrick and the depressions were made by his knees. 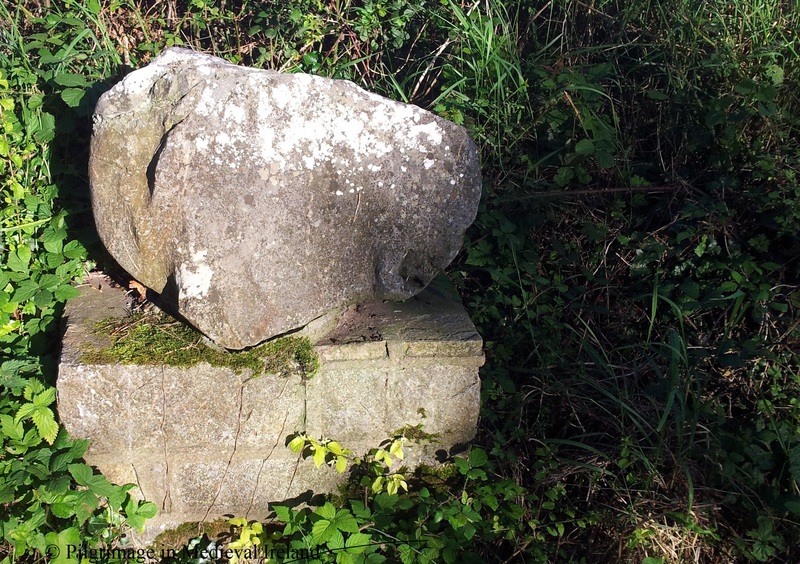 A few miles away close the ruin medieval church of Ballybacon, is another stone known as St Patrick’s stone located in the townland of Killaidamee. 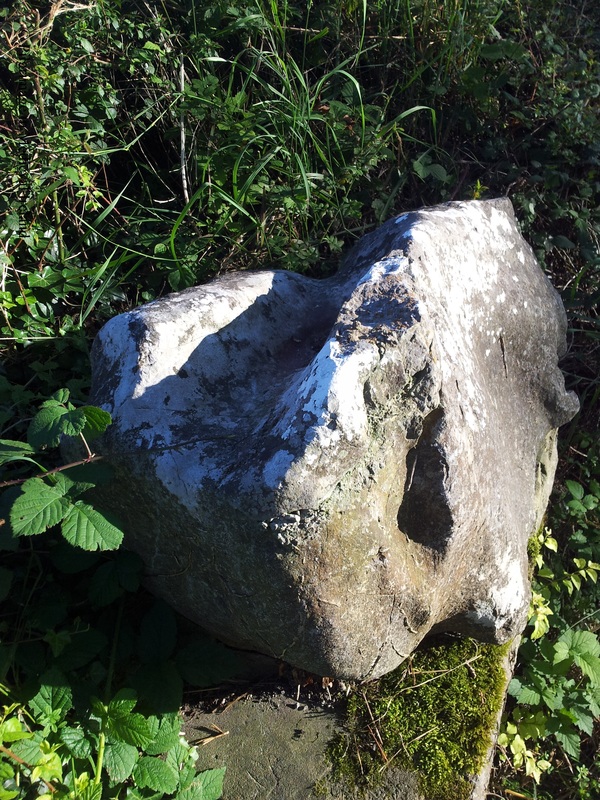 It is located opposite the junction of the Ardfinnan to Goatenbridge road and the Ballybacon road, it is not a bullaun stone but a natural shaped limestone e boulder c. .40m in height and .70m in length. It has a natural shallow curved groove in the upper surface on top of the stone. It was formerly located in the ground in a roadside location and an OS bench mark is located on the side. 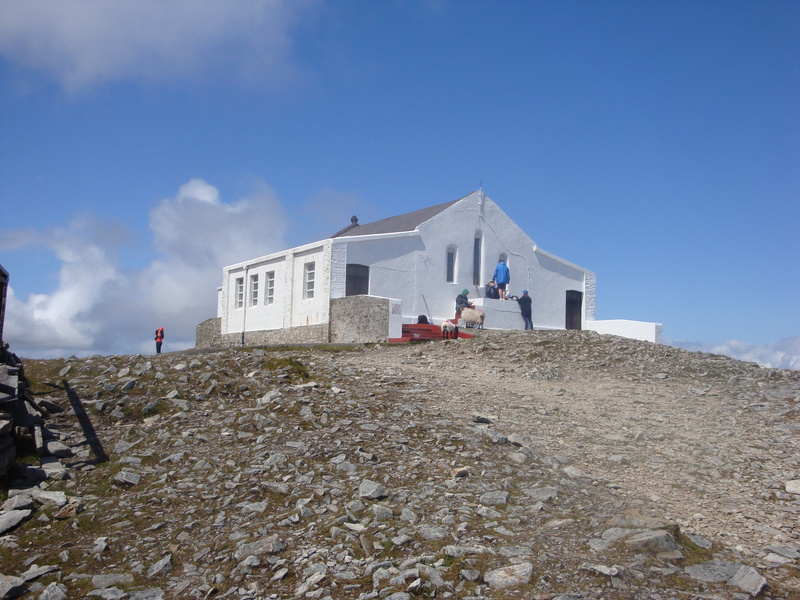 It was moved to its present location, a concrete slab when the road was widened in the 1980s. 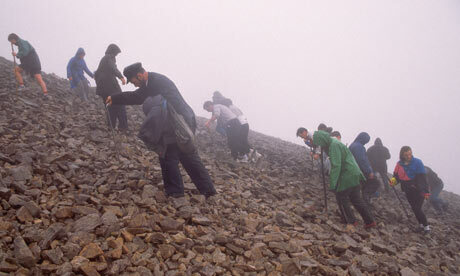 There is no tradition of local veneration of the stone. Both stones are located in isolation and there is no tradition of modern pilgrimage to either stone, although we know the Grangemore stone was held in some regard in the early 1900’s however the stones do represent the spread of the cult of St Patrick in South Tipperary. 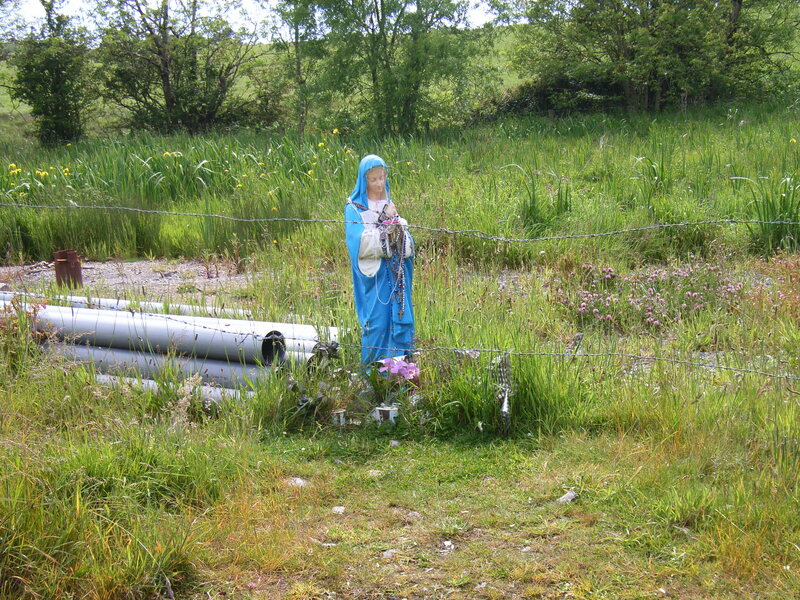 I recently visited a holy well at Ogulla near Tulsk, Co. Roscommon. 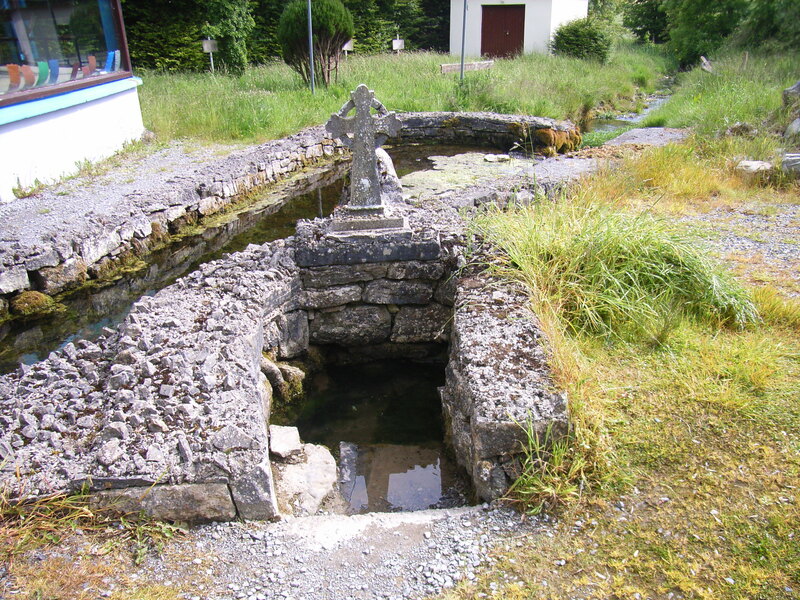 The well is believed to be the location where St Patrick baptised Ethne and Fidelm, the daughters of the High King of Ireland. 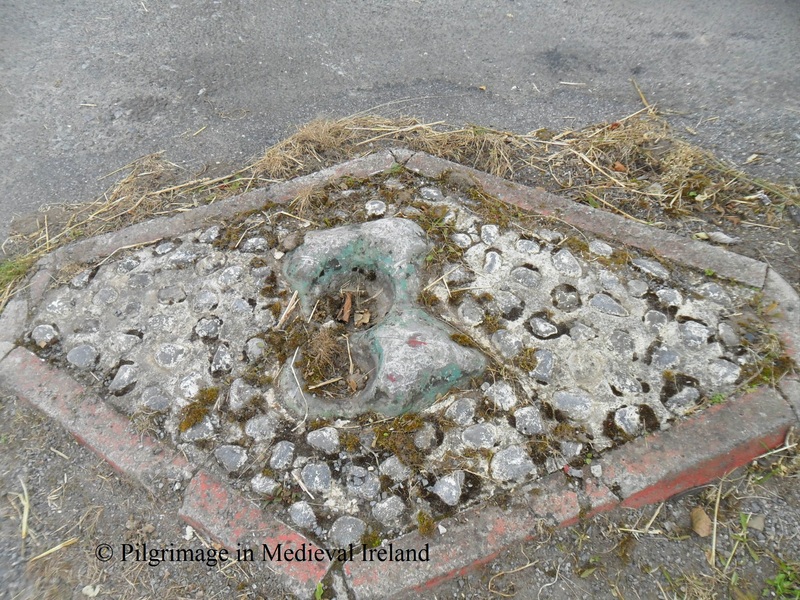 The well is still a site of devotion and people leave votive offerings at statue of St Patrick. People also perform stations of the cross around the site. 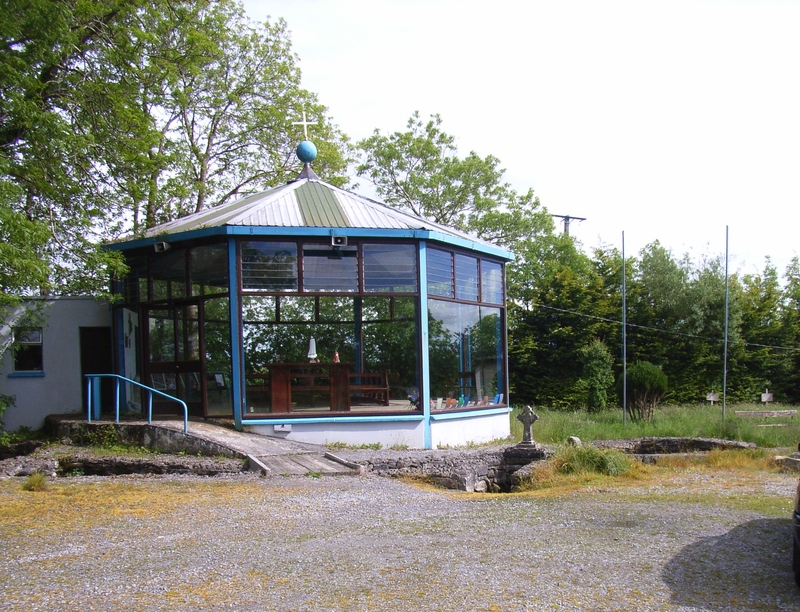 Beside the holy well is a small modern oratory. 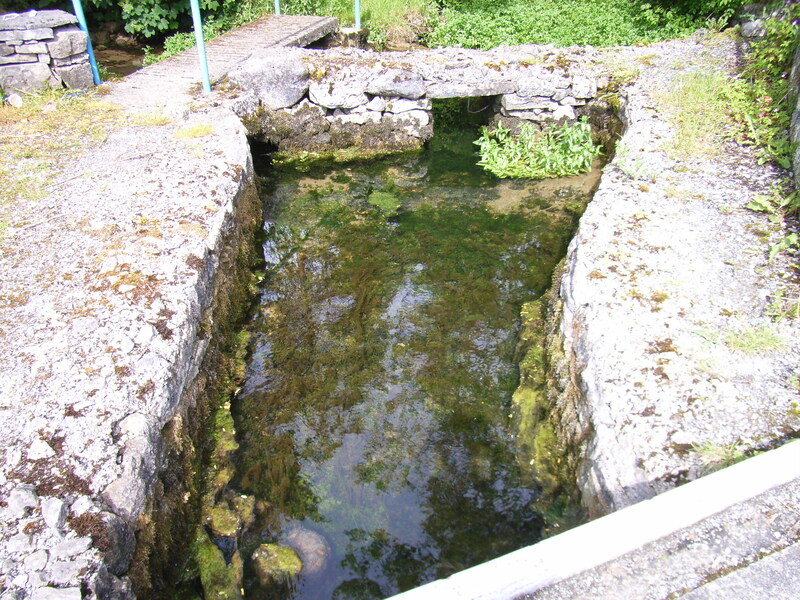 The well is associated with healing and a number of cures have been recorded here.